Then I might suggest a little getaway. And send him for a Club Pet holiday! In this new collection of easy-to-read poems, David Steinberg captures that special bond between kids and pets (as well as pet-inspired playfulness and fun!). 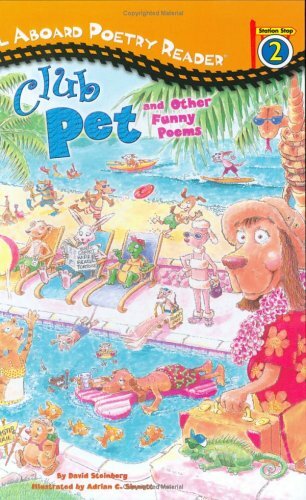 Take a vacation to the luxurious Club Pet, visit the Gerbil Gym, meet a world-famous stunt cat, and more in this rollicking celebration of four-legged, furry, and feathered friends! About D.J. Steinberg (Author) : D.J. Steinberg is a published author of children's books. A published credit of D.J. Steinberg is The Adventures of Daniel Boom: Sound Off! #1 (The Adventures of Daniel Boom).